Canadian drummer and percussionist Mark Adam has shared the stage and studio with many of Canada’s leading artists and is fluent across a wide range of musical styles. From jazz with Phil Dwyer, Laila Biali, Dave Restivo, David Braid, Carol Welsman and Mike Murley, to award winning classical recordings with Derek Charke, the Calgary Philharmonic Orchestra and WIRED Ensemble, Mark’s love of music knows no bounds. He has played on recordings of country artists George Canyon and Dave Gunning, hip hop artist Johnny Dillemma, worked with leaders in modern dance at the Toronto Dance Theater and the National Ballet and now enjoys a career in music production. 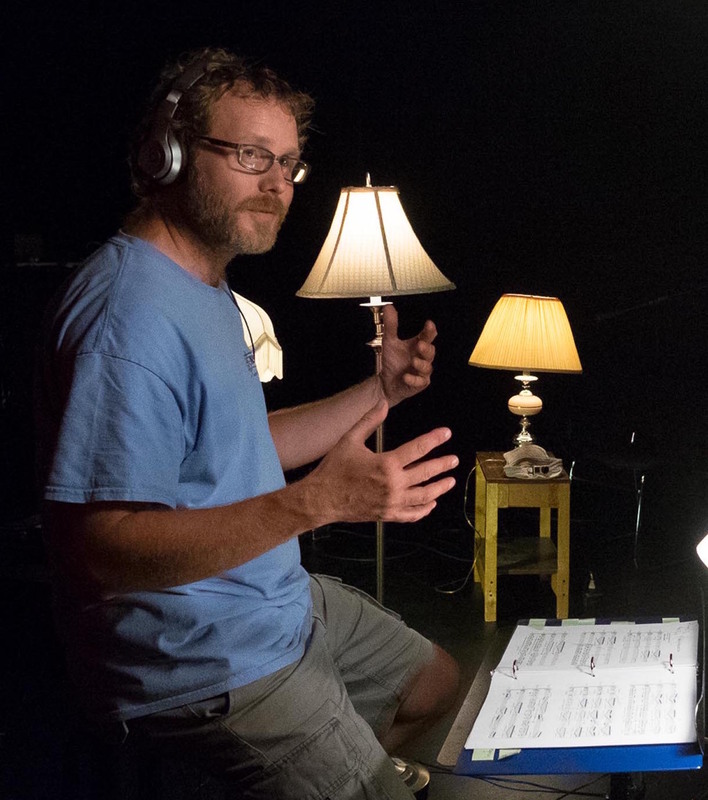 Mark’s ability to cross-reference across musical styles allows him to hear and develop many artists’ voices and visions. Mark has produced and been a multi-instrumentalist for Laurenn Marchand, Carmen Braden, Kim Barlow, Jeff Hennessy, Sarah Pound, Tom Easley, The Transatlantic Zodiac Ensemble and more. He also has a collaboration with award-winning producer and musician Marcus Paquin (The National, Arcade Fire, Hey Rosetta) and is part of an exciting new trio with Glenn Patscha (Marc Cohn, Sheryl Crow, Roseanne Cash) and Nicholas D’Amato (Lizz Wright). He is a professor at Acadia University in Wolfville, NS and regularly appears as a guest presenter and educator for music festivals, universities, high schools and conferences across Canada. Dina Burtt received her Bachelor of Music, Bachelor of Music Education and Master of Education in Curriculum Studies from Acadia University. She has completed post graduate work at the University of Calgary and studied composition through graphic notation at “The Colgrass Experience” at the University of Hartford. She has been a part time lecturer for the Acadia School of Music and faculty of the Acadia Summer Music Camps. Dina is a trumpet performer and clinician, a past member of Scotia Brass and the Atlantic Wind Orchestra under the direction of Dr. Mark Hopkins, and has presented at the NSMEA conference. She was on the executive of the Nova Scotia Band Association and for five years was the chairperson of the Nova Scotia Junior Wind Ensemble. As a music teacher for 22 years Dina has served on numerous curriculum development and implementation teams for the Nova Scotia Department of Education as well as Lead Teams for the Halifax Regional School Board. She is currently music director at Lockview High School in Fall River. Collaborative pianist, Mary Castello, is the Staff Accompanist for the School of Music at Acadia University in Wolfville, Nova Scotia. Mary also has a growing private studio of piano and theory students. Recent projects include a recital with flutist Jack Chen presented by InnerSpace concerts, recitals in Southwestern Ontario with soprano, Bethany Hörst and mezzo-soprano Leah Giselle Field, as well as recitals in Ontario, Michigan, Ohio, and Virginia with mezzo-soprano, Marie Engle, and flutist, Melissa Mashner. Mary also spent eight weeks during summer of 2018 as an Apprentice Artist at Opera Saratoga, where she was an apprentice rehearsal pianist for the season, working with conductors Andrew Bisantz, Anthony Barrese and David Alan Miller, and performing in several concerts. As an operatic repetiteur, chamber musician and recital partner, Mary has participated in summer festivals and training programs internationally, to include Scotia Festival of Music in Halifax, NS; Opera NUOVA in Edmonton, AB; COSI in Sulmona, Italy; Franz-Schubert-Institute in Baden bei Wien, Austria; and Opera on the Avalon, in St. John’s, NL. Mary spent the 2016-2017 season as a member of the Yulanda M. Faris Young Artists Program at Vancouver Opera, where she had the privilege of acting as principal repetiteur for their production of Hansel and Gretel, and chorus rehearsal pianist for Otello and Dead Man Walking. She holds an MMus in Collaborative Piano Performance from McGill University, where she studied with Michael McMahon. Originally from Kitchener, Ontario, Mary received a BMus in Piano Performance from Wilfrid Laurier University, as a student of Leslie De’Ath. Having shared the stage and camera with artists such as Amy Grant, Bobby McFerrin and Doc Severinsen, Jack Chen appears in 13 PBS television music specials in 2010 and tours with musicians Tim Janis, Finnouala Gill, EMI vocalists Giorgia Fumanti, Ryland Angel and “Siren.” Jack can be heard on the recent albums “Horizons” and “Awakening.” Recently appointed flute instructor at Acadia University and Head of the Wind and Percussion department at the Maritime Conservatory, Jack now calls Halifax his home. While not learning how to do more crazy things with his beloved flutes, Manheim and Hansen, Jack loves to chase his cat up and down the house; Toby, possibly the first ever 16-lb cat to lose 12lb and own a flutist! Tristan De Borba is one of Canada’s preeminent classical and contemporary saxophonists and wind ensemble conductors and is quickly gaining a reputation as an innovative and engaging musician. Tristan has performed as a saxophone soloist, chamber musician, orchestral saxophonist and pedagogue across Canada. Tristan is a founding member of the Brogue Saxophone Quartet (broguequartet.ca) and the Strum-Deborba duo with fellow saxophonist Nicole Strum. Tristan has a strong interest in the music of our time. His recording of Derek Charke’s Wired and Wound can be found on the ECMA nominated recording Live Wired (Centrediscs, 2015). Tristan also appears as saxophone soloist on “In the Wide Awe of Wisdom” featuring the choral music of Paul Halley (Pelagos, 2017). As a pedagogue, Tristan is on faculty at Acadia University where he runs an ever-expanding saxophone class and conducts the Symphonic Band. Tristan is finishing a Doctor of Musical Arts degree at the University of Toronto under the tutelage of Dr. Wallace Halladay where he researches the music of 20th century composer Jorge Peixinho. A native of Charlottetown, Rowan FitzGerald has recently retired from a 30 year career teaching instrumental music in the PEI school system. In addition to his duties as an instrumental music teacher, Mr FitzGerald has taught saxophone performance at UPEI, presented clinics and guest lecturers in music education, adjudicated music festivals and conducted honors band programs in all four Atlantic Provinces , Quebec, and in Hong Kong. Throughout his extensive career, he was the driving force behind the creation of an instrumental music program at East Wiltshire Intermediate School, the co-founder of the Eastern School District Summer Band Camp, a co-creator of the PEI Band Days Festival, and an integral force in the creation of a non-competitive music festival through the Queens County Music Festival. In 2000, Mr FitzGerald was nominated and received a Prime Minister's Award for Teaching Excellence and in 2011, he received the Lifetime Achievement Award during the Music PEI Award's Gala. For more than a dozen years, Mr FitzGerald has worked with community bands in Nova Scotia as a conductor and clinician. In the fall of 2009, he co-founded the Second Chances Community Concert Band in Charlottetown where he currently directs approximately 70 musicians ranging in age from 18-80. After enjoying 27 years teaching instrumental and choral music to elementary, middle, and high school students in the public school system, Ardith Haley accepted the position of Arts Education Consultant with the province of Nova Scotia, where she is responsible for the delivery of education programs in dance, drama, music, and visual artsHer knowledge of current pedagogy and assessment practice has guided the development and implementation of innovative and exciting new arts curricula for Nova Scotia’s schools. Ms. Haley was awarded the 2013 Canadian Music Educators’ Association Jubilate Award of Merit for significant contributions to music education in Canada. Her enthusiasm for music and the arts is surpassed only by her love of teaching. As a passionate and creative educator, she is dedicated to helping teachers create authentic learning environments and become more effective in their teaching practice. To this end, she is very excited about her most recent focus as co-creator of Music Mentors International and her work with the Masters Degree in Curriculum Studies with a Focus on Music Education at Acadia University in Wolfville, Nova Scotia. Ms. Haley earned her Bachelor of Music Education and Master of Education degrees at Acadia University where, in addition to coordinating the new masters program, as a part-time faculty member she conducts the Symphonic Band, teaches music education courses, and is the Director of the Summer Music Academy. Additionally, Ms. Haley is working with Singapore’s Ministry of Education in its quest to implement music and arts pedagogies that nurture 21st century competencies. She is leading the professional development of teachers as they move to a more student-centric orientation and develop strategies to facilitate creativity in the learning opportunities they offer their students. Stephen Hartlen studied trombone at Acadia University graduating with a Bachelors degree in Music Education in 1990 and a Masters degree in Curriculum Studies (Music Education Focus) in 2014. He has also studied at the Banff Centre in Banff, Alberta. Stephen has been teaching in the Nova Scotia public schools system for the past 26 years directing bands at Parrsboro Regional High, Hants East Rural High, New Glasgow Junior High School and is currently teaching at New Glasgow Academy. 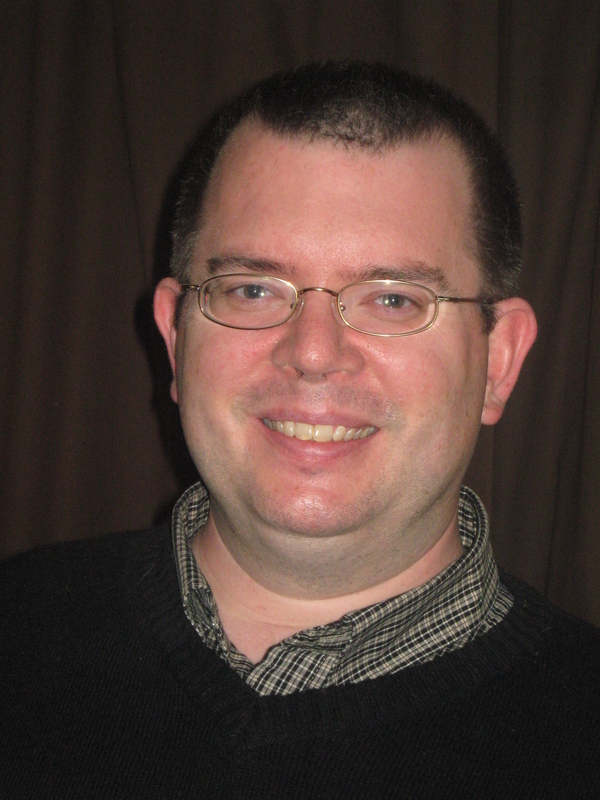 Stephen also works with the Nova Scotia Youth Wind Ensemble as a clinician and assistant director. As a trombonist and a vocalist Stephen has performed with a variety of ensembles including the Nova Scotia Youth Orchestra, Symphony Nova Scotia, the Halifax Camerata Singers and Incantatus. Stephen currently performs with the Nova Brass Quintet. He lives in Truro with his wife Holly and three children; Noah, Claire and Owen. He has been a longtime member of the Acadia Summer Music Faculty and is very pleased to be returning to camp this summer. Paul Hutten: MA, BAM, BMus, BMusEd. Paul earned degrees in piano, organ, music education and English at Acadia University, and currently teaches at Kings County Academy in Kentville, Nova Scotia. He is active as a band instructor, private music teacher, organist, choir conductor, and homemaker. 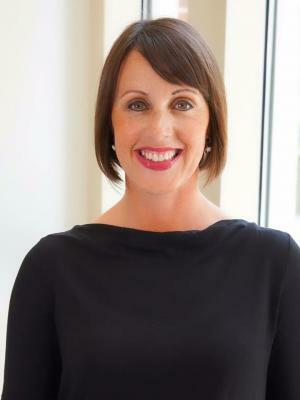 Amy M. Knopps is the Associate Director of Bands and Director of Athletic Bands at the University of Missouri where she directs Marching Mizzou, Mini Mizzou, Symphonic Band, and teaches courses in the music education curriculum of the School of Music. Prior to her appointment in the fall of 2017, Dr. Knopps served for seven years as Associate Professor of Music, Associate Director of Bands, and Director of Athletic Bands in the School of Music and Dance at Eastern Michigan University. While at Eastern Michigan she was a 2017 Faculty Spotlight Recipient as well as the Eastern Michigan University Thank-A-Teacher Inaugural Recipient. Dr. Knopps holds degrees from The University of Georgia (DMA), the University of Kansas (MM), and the University of Missouri (BS, Ed.) where her principal conducting teachers were Dr. John P. Lynch and Dr. Dale J. Lonis. While at Georgia and Kansas she held conducting associate positions that involved conducting both concert and athletic bands as well as teaching courses in the music curriculum. 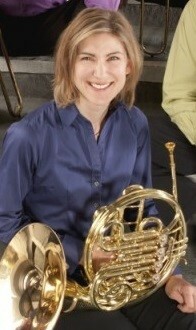 During her time at The University of Georgia, Dr. Knopps received the Hugh Hodgson School of Music Director’s Excellence Award and at the University of Kansas she received the Russell L. Wiley Graduate Conducting Award. Additional teaching experience includes numerous years as Director of Bands at Center High School and Center Middle School in her hometown of Kansas City, Missouri where she guided all aspects of the diverse and award winning band program. While in the Center School District, Dr. Knopps received the 2003 Missouri Fine Arts Outstanding Teacher Award and the 2004 You Make the Difference Award for her dedication and commitment to excellence in education. As an advocate for new wind music she solely commissioned and premiered Jonathan Newman’s 1861 for concert band in 2004 and continues her commitment to contributing to the wind band repertoire through additional commissions. Dr. Knopps continues to be an active conductor, clinician, and adjudicator across the United States and internationally having worked and performed throughout Asia, Australia, Canada, Europe, and South America. Each summer she serves as a clinician/instructor at the Smith-Walbridge Clinics held in Charleston, Illinois working with high school and college drum majors from across the country. Dr. Knopps is also known for her published contributions as she has authored several articles for School Band and Orchestra Magazine, and has contributed to seven volumes of the Teaching Music Through Performance in Band series. In addition to her published articles she has completed extensive research on American-Sponsored overseas secondary band programs in the People’s Republic of China. Dr. Knopps maintains professional affiliations with the College Band Directors National Association (CBDNA), currently serving on the CBDNA Athletic Bands Committee, World Association for Symphonic Bands and Ensembles (WASBE), the National Association for Music Education (NAfME), National Band Association (NBA), currently serving as the Missouri State Chair, Phi Beta Mu, Tau Beta Sigma, Kappa Kappa Psi, currently serving as the sponsor for the Eta Upsilon chapter, the Griffiths Leadership Society for Women, and QEBH, the oldest of six secret honor societies at the University of Missouri. She currently resides in Columbia, Missouri with her two cats Buddy and Rocky. Winner of 2 East Coast music awards with the Jive Kings, Bob Nicholson is enjoying a varied and successful career. Bob recently completed three years as tubaist with the Calgary based Foothills Brass Quintet and is now pleased to be playing tuba and bass trombone with Maritime Brass Quintet. Bob performed for 5 years with 'The Phantom of the Opera' in Toronto and for 14 summers in the pit orchestra of 'Anne of Green Gables' at the Charlottetown Festival. As an orchestral musician he has performed with the Toronto Symphony Orchestra, Canadian Opera Company Orchestra, Calgary Philharmonic, CBC Toronto Jazz Orchestra and the National Ballet Orchestra among others. Theatre work 'in the pit' includes Toronto productions of Beauty and the Beast, Showboat, Crazy for You, Miss Saigon, Les Miserables and numerous productions at the Charlottetown Festival. Bob studied at the University of PEI, the Royal Conservatory of Music in Toronto, the University of Toronto and at the Music Academy of the West in Santa Barbara, California. Bob currently teaches at Acadia University and Nova Scotia Community College. A native of Berwick, Nova Scotia, Gina Patterson returned to her home province after spending several years with the Canadian Opera Company Orchestra, performing and recording with many of the world’s finest opera soloists. 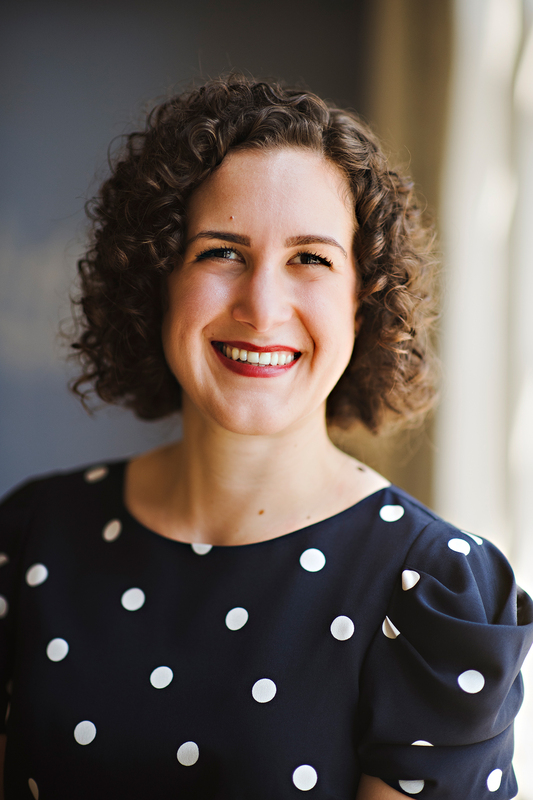 She has also performed with the Kitchener Waterloo Symphony, Thunder Bay Symphony Orchestra, Symphony Nova Scotia, the Newfoundland Symphony, Neptune Theatre, I Musici de Montreal, King’s College Chorus, and the Camerata Singers. She received her musical education from Acadia University, the University of Toronto, le Conservatoire de Musique de Montreal, the Banff Centre for the Arts, and also participated in summer programs at Orford and le Domaine Forget. In 2011, Gina became a founding member of the Maritime Brass Quintet, performing and teaching throughout Atlantic Canada. She is thrilled to be returning to the Acadia Summer Music Camp! Emily Strong is a P-5 Music and 6-9 Band teacher at Hebbville Academy, which is located on the South Shore of Nova Scotia. She completed her Bachelor of Music and her Bachelor of Education at Acadia University. She is currently in her sixth year of teaching and recently completed her Masters in Curriculum Studies with a focus in Technology Integration. Emily loves to teach at the Summer Music camps and especially loves spending time with new bassoonists. Clarinetist Eileen Walsh has been thrilled to play Second Clarinet and Bass Clarinet with Symphony Nova Scotia since October 2007. Formerly the associate principal and E-flat clarinet with the South Bend Symphony, Eileen earned her master of music degree and performer diploma from Indiana University, and her bachelor's degree at UBC. Currently, Eileen is on faculty as a clarinet instructor at Acadia and Dalhousie Universities, as well as at the Maritime Conservatory of Performing Arts. She performs regularly on the Music Room Chamber Music Series and Scotia Festival of Music, the Shattering the Silence new music festival at Acadia, and the Charlottetown Festival.